Kodumela continued to expand the science and career expo this year with an expo in Maleboho circuit. The expo saw over 900 learners from 12 schools in attendance. Exhibitors and sponsors at the expo include Shoprite, Erika Energy, Mining Qualification Authority, University of Limpopo, LIEDA (FET), Rosebank College, SAPS explosives, SAICA and an expert in social work. The event was a great success and Kodumela Bokamoso is look-ing forward to growing the event in the area. This will include bringing in more exhibitors to the event and ensure that learners are able to interact with people and companies that are in their area of interest. This year saw our volunteers do things differently by introducing the learner assistance programme early . A summer school for Nakedi and Thokampe Secondary Schools was launched as a way to assist learners with their grade 12 syllabus. This will also be incorporated in the Winter School Programme that will be held during the Winter Break. We are looking forward to seeing more people volunteer their time to assist the next generation of leaders as they prepare to take on their final exams. Kodomela would like to thank Coca – Cola for sponsoring drinks to the tutors through the duration of the Summer School. We hope to have more sponsors coming on board. 2015 has been an exciting year for Kodumela. This year saw us hosting the 5th Annaul Science and Career Expo in Bahananwa. 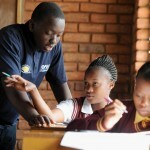 This event, since its inception, has impacted over 5000 grade 11 and 12 learners. It has helped many to have an idea of the field they want to study. It has inspired others to forge a path in their careers with a clear direction. The event is not just about the learners, but the organsations that come to exhibit as well. Over the years, many organisations have come and enjoyed giving back to the community through their employees. These organisations have been the embodiment of the words “Education is the most powerful weapon with which we can change the world”. Apart from just information received in the classroom, learners also need to know the application of classroom knowledge in the real world, and the variety of exhibitors have assisted in this area. This year saw over 900 learners interacting with 13 organisation attending the Bahananwa Circuit Science and Career Expo. This included DeBeers, Aurecon, MSA Group, Sandvik, MQA, Taungana, BOSTEC, LEDET, LEDA and ETP SETA. Senwabarwana Shoprite, Limpopo Food Technology Station, Lopec and Village Main Reef sponsored the logistics for the event. Seotlong and Mphahlele also had a Science and Career Expo, sponsored by Lesego Platinum, which saw over 1000 learners attend. Lesego Platinum, SRK Consulting, GSSA, LEDA, MQA, Youth Centre for Basic Information, Capricon District Municipality, Aurecon and VMR were among the exhibitors. SRK Consulting, Lopec Spares, Bopedi Spar, Lesego Platinum and RFM media sponsored various aspects of the logistics of the event. Universities of the Witwatersrand and Johannesburg provided prospectuses and application forms for the learners attending both Science and Career Exhibitions. This year Kodemela Bokamoso also hosted the first ever Science and Career Expo in Tshwane North Distric, sponsored by the MSA group. 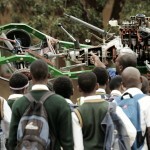 This saw over 1000 learners in attendance. Exhibitors included MSA Group, British Airways, Rosebank College, Royal Bafokeng Holdings, SAICA, Fiona Buchner Consulting, Harvey World Travel, Westech Systems, iCollege and Kanana Development Centre. Kodumela would like to extend its sincerest gratitude to the organisation and people that have volunteered the time and resources to make these events and its success. We would like to continue to partner with you in making a difference in this nation as we continue to spread the Science and Career Exhibition across the country. Kodumela Bokamoso Youth Development kicked off the second Educate4Depth annual winter school program at Nakedi Secondary School in Limpopo. The program was started by Kodumela in partnership with former learners of the school that wanted to give back to the school. This tied in very well with Kodumela’s vision of developing future leaders today. The program brings 28 tutors from various institutions of higher learning such as University of Witwatersrand, University of Johannesburg, University of Pretoria, Tshwane University of Technology, University Of Limpopo, University of Venda and Cape Peninsula University of Technology. 120 leaners, from Mathipa Makgato Secondary, Nakedi Secondary School and Thokampe Secondary School will benefit from the program. The program caters for various subjects included in the Grade 11 and 12 curriculums. After the hard work that Kodumela Bokamoso and Bahananwa circuit put in last year, there was a marked improvement in the pass rate. The circuit got 61% pass rate. Worth mentioning is the fact that Nakedi secondary School, which Kodumela has been working with since its inception, improved from 39% to 76% . 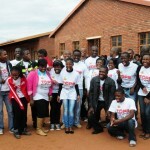 A winter school programme was initiated by alumni from the school with the support of Kodumela Bookamaso last year. This gave the learners some extra lessons on subject matter that they found difficult in the matric syllabus. The winter school covered all the subjects that learners have at the school. Another circuit that Kodumela works with is Mphahlele. They obtained a 70% matric pass rate. Seotlong circuit improved from 52% to 67%. In this circuit, Moloke combined school got 100% pass rate.